Vintage Bright™ is specially formulated to provide heightened focus and steady energy throughout the day – for increased productivity in whatever task or activity you’re engaged in. 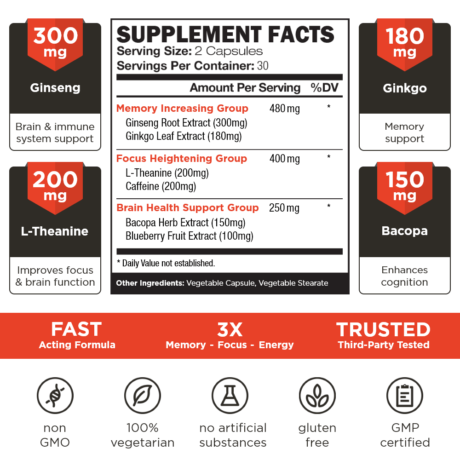 Leveraging the power of ingredients like ginseng root and ginkgo leaf extract, Vintage Bright™ aids long-term memory and short-term recall for an “unforgettable” experience. Bacopa herb and blueberry fruit extract work to strengthen and protect your most valuable asset inside and outside the gym. Vintage Bright is part of our Health & Vitality supplements range. We created it because achieving a balanced, head-turning musculature should never come at the expense of your health. Your state of mind can have a huge effect on your physical and mental performance. It can affect things like focus, memory and energy. When you’re mentally tired, you feel depleted of energy and lose the motivation to train or perform any physical activity. To be at your best, both in the gym and in your daily life, you need to be firing on all cylinders. That’s why we created Vintage Bright. It is designed to boost cognitive ability, as well as enhance your focus and energy. It helps you to be more productive and turns you into the best version of yourself – inside and outside the gym. So stop going through your days in a mental fog – and get the most out of each waking hour with Vintage Bright today! At Old School Labs™, we set out from the start to be a premium and uncompromising brand, delivering exclusively premium products. We sell our products directly to you and are therefore able to afford including only the best quality ingredients in all our products. 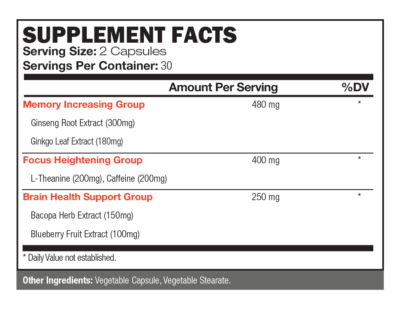 Press More to read about the ingredients you will find in Vintage Bright™ in descending order of weight. A root containing numerous active substances that play key roles in overall health, including brain health support, immune system strengthening, increased stamina, and improved athletic performance. An herbal extract that has been shown to improve blood flow, while supporting cognition and memory. An amino acid that aids the body in transmitting impulses to the brain more efficiently. This directly improves focus and brain function. The well-known stimulant blocks adenosine signals to the brain, allowing you to feel more alert, energetic and focused. 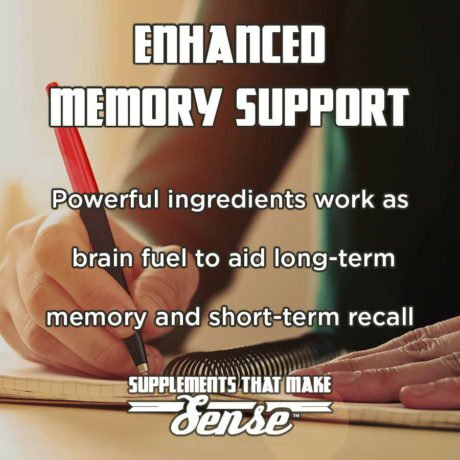 Helps build up chemicals in the brain that are responsible for cognition and memory. Helps to minimize memory and motor function deficiencies related to aging, and is important in maintaining long-term brain health. For use as a dietary supplement. Take 1 capsule twice a day before or with meals. For concentrated focus and mental acuity, take 2 capsules 15-30 minutes before activity. Avoid taking before bedtime and do not exceed 4 capsules in a 24 hour period. Is Vintage Bright™ banned by any university examination boards? No, Vintage Bright™ is a natural focus and cognitive energy aid that contains no substances banned by universities. How will Vintage Bright™ help my productivity? Vintage Bright™ will provide you with heightened focus and cognitive energy, as well as improved memory, to keep you fully engaged in whatever activity you’re doing. When should I take Vintage Bright™? We recommend taking Vintage Bright™ before or with a meal on a daily basis. 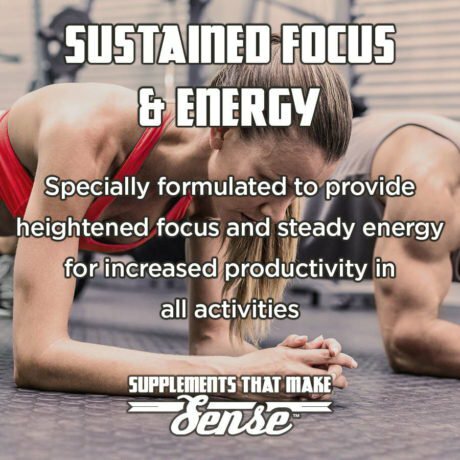 For more concentrated focus, take 2 servings 15-30 minutes before activity. Can I stack Vintage Bright™ with other Old School Labs™ supplements? 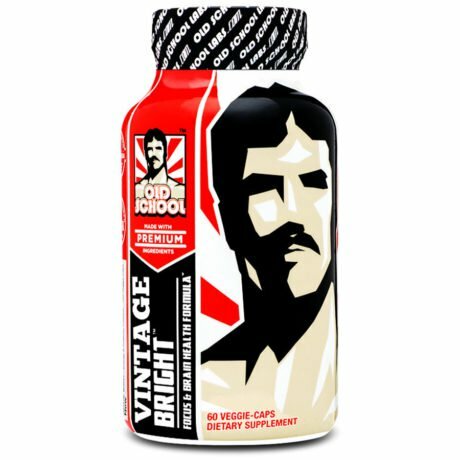 Yes, Vintage Bright™ may be taken with any other Old School Labs™ supplements. Can I use Vintage Bright™ as a pre-workout? Vintage Bright™ can be used as a light pre-workout. But for more energy and pumps, try our two-stage pre-workout, Vintage Blast™, which is designed to help you take full advantage of your workouts. 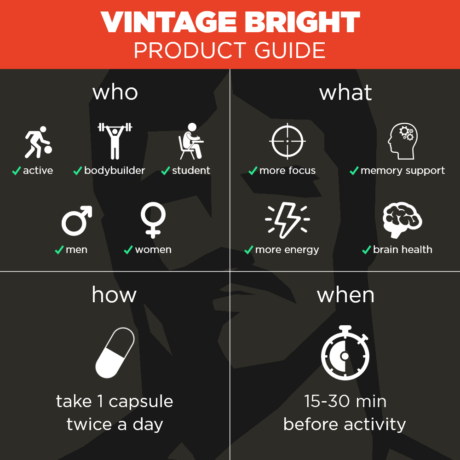 Will Vintage Bright™ support my long-term brain health? Yes, Vintage Bright™ includes ingredients such as blueberry fruit extract and bacopa herb extract to support both short-term and long-term brain health.